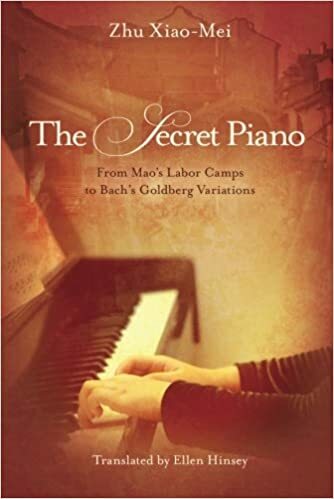 April 8, 2018, 11:39 PM · The Secret Piano: From Mao's Labor Camps to Bach's Goldberg Variations by Zhu Xiao-Mei is a book about the worst and best of the human spirit. The worst is the ravages of the human body and spirit by the totalitarian regime of Mao Tse Tung. The best is music. 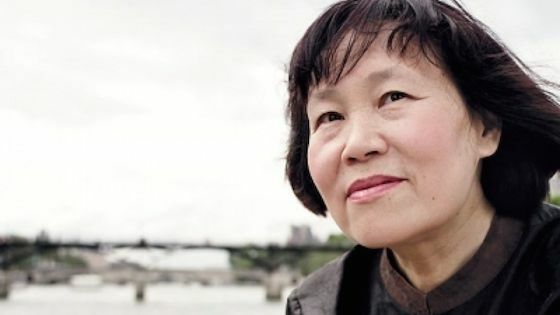 This autobiographical story begins with Xiao-Mei, a three-year-old girl in China, whose life was forever changed by her mother's acquisition of a piano. Her mother taught her to play and music became the overwhelming passion of her life. A prodigy, she was admitted to a prestigious academy at the age of 13. Her joy of total immersion into Western classical music was soon ended by Mao's Cultural Revolution. 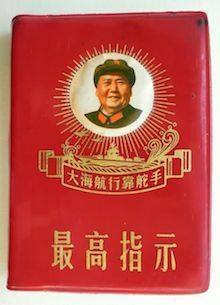 The teaching of music, and then all teaching, was stopped and replaced by ruthless indoctrination into Mao's culture. Daily sessions of self criticism and denunciation relentlessly beat down the spirit, sense of self, and empathy with others. Xiao-Mei became first a victim of and then a participant in the degradation of the human spirit. She and her fellow students were then sent to forced work camps where they lived under almost unbelievably harsh conditions and despicable treatment. At the worst of times, however, Xiao-Mei's spirit began to awaken as, with her mother's assistance, she smuggled her beloved old piano into her work camp. She worked hard and surreptitiously to keep the piano working and to share music with others at the camp. She hid the piano in an unheated room and stole out of the camp at night to collect firewood to keep the piano warm and functioning. She made many copies by hand of the score of Bach's Goldberg Variations, which she loved, to share with her fellow inmates, studying the manuscript as she copied it. Soon afterwards, the political climate changed and the inmates were freed from the camp. Then came the difficult task of rebuilding their broken lives and spirits. Chinese pianist and author Zhu Xiao-Mei. Image from Mirare records. "[Mao's] regime had pushed us to the brink of total dehumanization. The Cultural Revolution was on the verge of stripping us of our humanity completely...[but] deep inside us, there remained a spark of humanity...Music blew on this spark and revived it...Music gave us back our humanity. It offered us a glimpse...of spirituality. It taught us how to love again." She concluded that "music brings people together...and instills a powerful love of humanity that allows [us] to overcome every hardship." It is significant that the first piece of music Xiao-Mei played at the work camp, a piece which she was devoted to all her life, was by Bach. Years later she "prayed" to Bach, saying "Master, after all I have been through, allow me to say that, thanks to you, I once again became a human being." For many musicians, myself included, Bach is like God in human form. John Eliot Gardiner, in his biography of Bach, wrote, "[Bach shows] us how to overcome our imperfections through the perfections of his music: to make divine things human and human things divine." For a person such as Xiao-Mei who has endured such extreme dehumanization, healing must occur not just once but every day following the trauma. Xiao-Mei concludes her story by saying, "At night I question myself. I am afraid of others, of myself...But in the morning, I know that it is still there, in the next room, waiting for me. It always keeps its promise of fulfillment. My piano." April 9, 2018 at 08:09 PM · Thanks for putting this out here. There are many, many true stories about people's experiences during the cultural revolution, many about the strange and surreal lives of musicians and artists. April 10, 2018 at 07:53 AM · It is true that many people have interesting but gruesome stories about the Cultural Revolution. We are just hearing some of these stories now, 50 years after the Cultural Revolution. I believe that we need to know what really happened. April 10, 2018 at 06:06 PM · Thank you for bringing this to us. I know very little about this era. We learn how easy it is to descend to barbarism. I am thankful that the beauty of art and music can make the world better. April 10, 2018 at 09:33 PM · Paul, I agree with you so strongly. April 10, 2018 at 10:39 PM · "Music gave us back our humanity." That just about says it all. Thanks for sharing this wonderful story with us, Pauline! Beautifully written and heartfelt.